Steam distilled wild crafted geranium leaf essential oil from Albania. Species: Pelargonium roseum. Class: Monoterpenol. Aromatherapy uses include relief from depression, stress, anxiety and PMS. Also, treatment for sunburn and shingles. 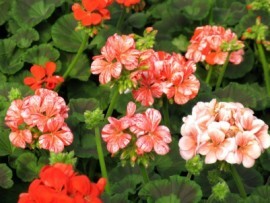 Here are articles: Health Benefits of Geranium Essential Oil, Wkipedia entry.